Overthinking can be extremely stressful, try these seven things to help out. 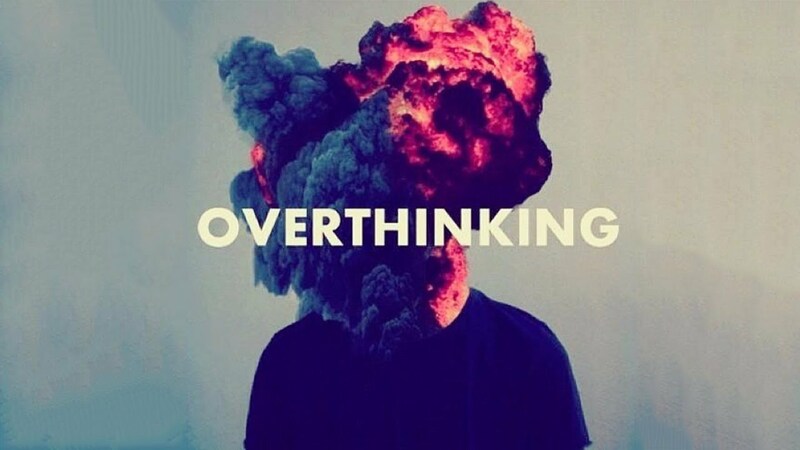 Overthinking will drive anyone insane, especially those who overthink everything. Simple everyday tasks will become nightmares when every part of every day is planned out to the second. Not only is everything planned out, but there is a backup plan for every plan and each backup plan has a backup plan. Here are seven things to do when you start to overthink things. This might sound like the most redundant thing to do, but it helps. If you get distracted from the thing you're overthinking, then you won't have to worry about it anymore. Find something new to do, but make sure it's something productive because then you'll end up stressing over wasting time and that leads to more overthinking. "Adult" coloring books are extremely popular right now. The relaxing patterns can soothe you and pull your mind away from all the things you're overthinking. Not only do the patterns in the book relax you, the color patterns that you use will help. Get out, go run. Feel your feet hit the pavement with every step. Run until you cannot run anymore and everything in your body burns. I promise, you'll be so distracted by the burning feeling in your lungs that you won't be overthinking anything. Running isn't the only answer, there are several different forms of exercise that can be used as distractions. Pick your poison and get going! Friends are always the best distraction, especially if they know they are supposed to be a distraction. Being around someone who can make you laugh will pull your mind away form everything that you think you're supposed to overthink. When you're with friends, you'll have fun and be able to relax. Are you hydrated? Have you eaten healthy foods lately? Make sure you're taking care of yourself. If your body isn't in tune with your mind, then overthinking is a guarantee. Take some time to yourself and respect your body. Drink plenty of water and eat healthy. If your body is feeling sluggish, then your mind will lack too. Even if you're not feeling tired, overthinking makes you mentally exhausted. Get plenty of sleep or rest. Even if you aren't sleeping, just go sit back, relax and close your eyes. Once your mind is recharged it'll be easier to focus and not overthink every little thing. Listening to music can take you to a whole different place. Putting headphones on and turning music up will either help pull you out of overthinking or it will allow you to concentrate on what needs to be done. Music is overall the best way to change your mood and help you focus, get motivated or just relax. Overthinking can get the best of anyone, but knowing how to handle it can make life a million times easier. Next time you're feeling stressed out remember to step back and breathe then think of something you can do to get your mind off things or focus on what needs to be done. Ultimately, relax and take care of yourself before handling everyone else's issues.